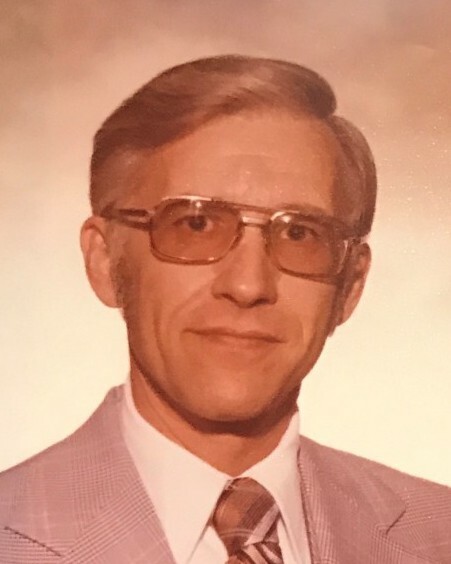 Donald L. Prather, 84, passed away Saturday, July 21, 2018 in Amarillo. Funeral services will be held at 10:00 a.m. Thursday, July 26, 2018 at Grace Church, 4111 Plains Blvd, Amarillo. Burial will follow in Memorial Park Cemetery. Arrangements are by Schooler Funeral Home, 4100 S. Georgia St.
Donald was born February 24, 1934 in Urbana, Illinois to Elmer and Helen Prather and was raised by his grandmother in Urbana, Illinois. He proudly served in the U. S. Navy for four years and was discharged in 1956. After his discharge, he moved to Amarillo where he joined the inaugural police academy class of 1956. His badge number was 6. Serving for thirty-four years, he retired as captain of the detective division. During this time he met Mary Linda Prather and they were married in 1978, and enjoyed thirty-three years of marriage. Donald enjoyed playing bingo and spending time with his dog, Snoopy. He loved the family he chose and the family he was given, with all his heart. He was preceded in death by his wife, Mary Linda Prather. Donald is survived by his daughters, Lanecia Prather-Errington of Amarillo, and Sabrina Ann Prather of Austin; his sons, Matthew Prather and wife, Robyn of Dallas and Clyde Allen Dubose and wife, Michelle of Austin; his grandchildren, Lindsay Sullivan and husband, Mark and Christopher Errington and wife, Darby; and his great-grandchildren, Landon Sullivan, Brenden Sullivan and Easton Ray Errington. The family suggest memorials be made to BSA Hospice of the Southwest or to Grace Church. The family will receive friends from 6:00-7:00 p.m., Wednesday, July 25, at the funeral home.